Warning: If you have a weak stomach it's best for you to bypass the first few paragraphs. So last week was not great health wise for our Modest Homestead. We were all sick at one point during the week and pour little Maddy has been sick the past 3 weekends with one thing or another. She started us off with a stomach virus. I had it next and it was AWFUL! I hate being sick and you know when your a mom with young children you can't just lay down and sleep until you feel better. My kids were not taking it well that I was out of commission. Maddy was still not feeling well and was super fussy and hardly napped at all during the day. Claire was upset that we couldn't go outside and ride her bike and she didn't get as long to play in the bath tub as usual. She was however excited when Matt came home on lunch and announced that they were going to have cereal for dinner. (Whatever works...I was just glad I didn't have to cook!) I tried to put Maddy to bed a few minutes early so I could spend time with Claire but she was just not having it. While I was rocking her Claire turned on her own bedtime music and went to sleep. By the time the kids were both in bed I ate a little jello which gave me just enough energy to pick up the house before Matt came home from work. I even managed to watch the season finale of the Walking Dead with out getting sick! I don't typically like scary shows but Matt got us started on it and I don't think it's real looking enough to be that scary! A few days later Claire and Matt got it. The good thing (as if there is a good thing about being sick) is that when Claire gets sick she always coughs before she throws up. She's done it ever since she was a baby and it's a great warning to know when I need to run her to the bathroom or nearest trash can. I'm usually a really heavy sleeper but for some reason I heard her coughing in the middle of the night and managed to jump out of bed, grab the trash can from the bathroom and get it to Claire just in time. Does that take some mad skills or what? On a brighter note as of right now everyone is healthy and we are getting away to Charleston for the weekend! This will be Matt's third time running in the Cooper River Bridge Run. I'm super excited to go and watch him this year or at least be there to take pictures at the finish line. He has to get up at like 5 to be there on time and the idea of getting the kids up and ready that early wasn't something we've tried to do in the past. Matt's parent's agreed to watch them for us this year so I'm excited to go! I'd love to run in a race someday but I should probably start running weekly first. Come to think of it Matt signed me up for a 5k at the end of this month I should probably start training for. We're going to a wedding the end April and I'm excited to see friends from college I haven't seen in a while. So of course it's a wonderful excuse to buy a new dress. I've really had a hard time finding something. 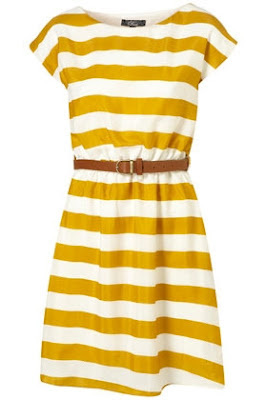 Not that there is a lack of cute dresses out there but I want something I feel comfortable in with my post baby body. Here are a few I found via Pinterest. Some of them where pinned a long time ago and are not available anymore but you get an idea of what I'm looking for. These first two are not available anymore but aren't they adorable? The rest of these are from Shabby Apple. 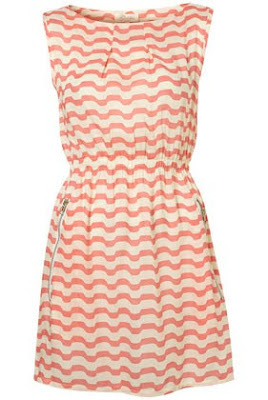 This dress was my favorite but it's not on their website anymore so I'm sad about that. So tell me, what's your go to place when you need a cute dress?